On the advice of a co-worker, my hubby and I set off to explore an old abandoned bridge situated a couple of kms north of Spuzzum, BC (yes – I said Spuzzum). Alexandra Bridge is a wonderful example of early 20th century civil engineering – quite magnificent really (thanks for the tip, Clive!). While it is no longer used for vehicle travel, it is a lovely place to go for a stroll as the view from the bridge is absolutely stunning. As usual, I had my cameras at the ready. 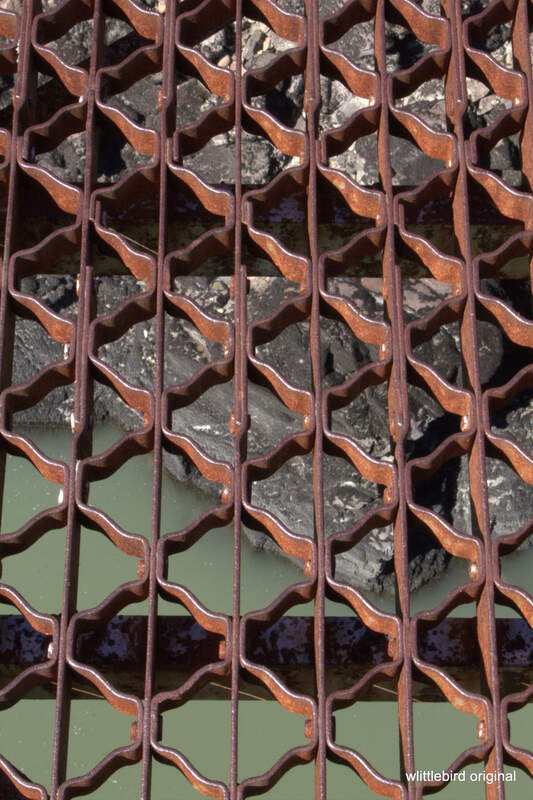 As we were making our way across the bridge deck – a giant grate – I thought that I should take a few photos of the water below. Well…it turned out that I wouldn’t be taking just a shot of the water … but I would also be taking a photo of my camera lens cap as it fell effortlessly out of my hands, through the grate, and into the current below. It was a good lens cap. I hope it had a nice trip downstream.